I have been playing with NDepend for the past week or so, and have found it to be a useful addition to an Architect’s/Developer’s artillery for larger more complex projects. NDepend is a static code analysis tool written by Patrick Smacchia (C# MVP) that simplifies managing a large/complex .NET code base. 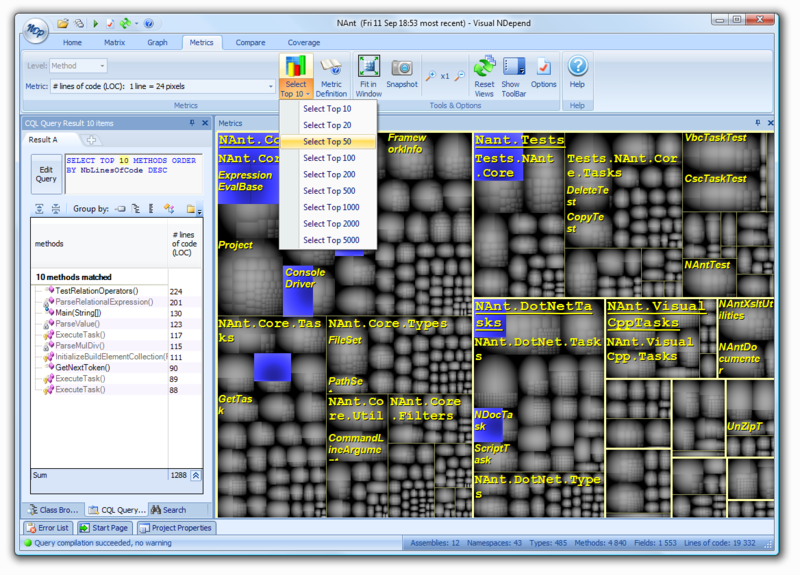 Whether you are responsible for QA, code reviews, architecture, or day to day development on large complex projects, you will most likely find something useful in NDepend. Metrics View: Hightlighting the top 10 methods based on number of lines of code.